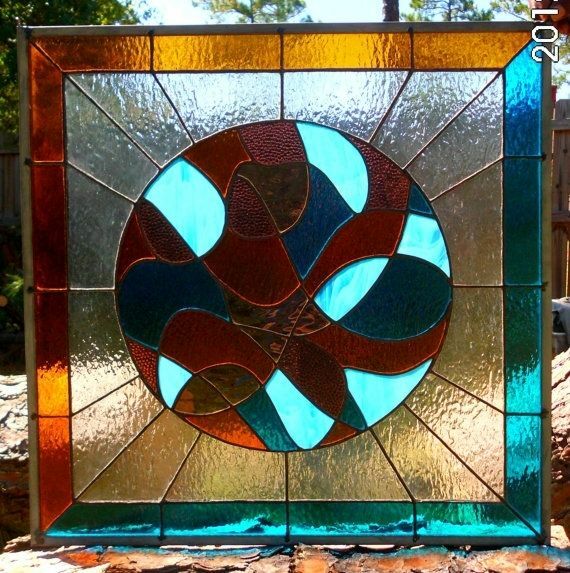 24" x 24" Stained glass panel. This piece was made with a variety of colors, shades, and textures. There are all kinds of people in the world, but we should all be able to share the planet. "A Whole New World" was assembled using the copper foil method and has a zinc frame. Ready to be installed or to hang in your home or office. Size, color, and finish can be customized.